Violent incidents, both terrorism and counter terrorism have witnessed as significant decline of 44% during the third quarter (July – September) of 2017 as compared to the previous quarter of 2017. 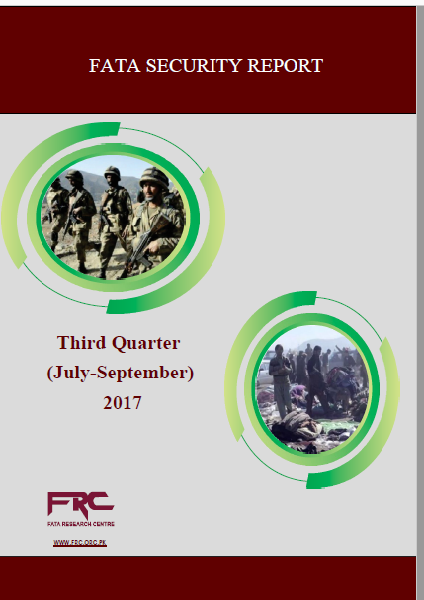 Compared to 100 violent incidents in the previous quarter (April to June 2017), 56 violent incidents, and both terrorism and counter terrorism, were reported from July to September of the current year from all the seven agencies of FATA, marking a significant decline of 44 % in violent incidents. However, this is slightly higher than the third quarter of the previous year (2016), in which only 52 violent incidents were recorded.